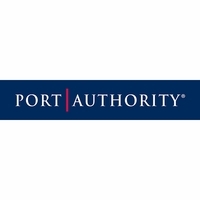 Port Authority® - America's #1 preferred private label. Port & Company®, District Threads®, Sport-Tek®, CornerStone® and Precious Cargo® complete our high quality private label offering. The tremendous styling of Port Authority®—ranging from classic to modern—along with the line’s extreme attention to design detail and durability make it the perfect way to showcase your logo in the very best light. The Port Authority line features a high quality collection of wovens, sport shirts, outerwear, headwear and accessories.